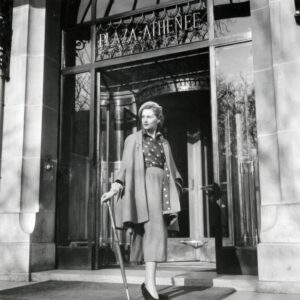 True to its extraordinary city, Hôtel Plaza Athénée is no ordinary hotel. 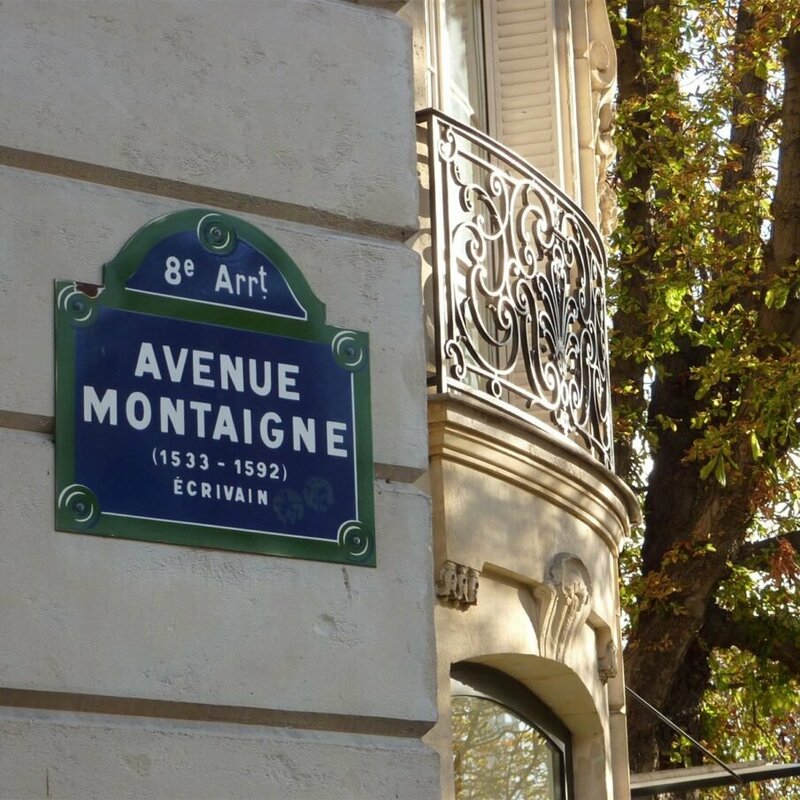 Here, on the prestigious avenue Montaigne, the tree-lined boulevard of French fashion, our hotel proudly offers guests the very best of Paris. On the famous avenue of couture, where a century of designers and artists have pursued boldness and passion, a legendary hotel awaits your arrival. Here, life is to be seized, enjoyed and celebrated. This is Paris. This is the avenue. This is Dior, Dietrich and diamonds. This is where icons and trends are born and love stories have played out since 1913. Continue the legacy. Write your story. Fresh, iconic, inspiring, original and utterly magnificent. At Hôtel Plaza Athénée a unique and delightful experience awaits. Sleep peacefully in beautiful rooms, surrounded by Parisian splendour and our famous art of hospitality. All of Paris waits to be seen. 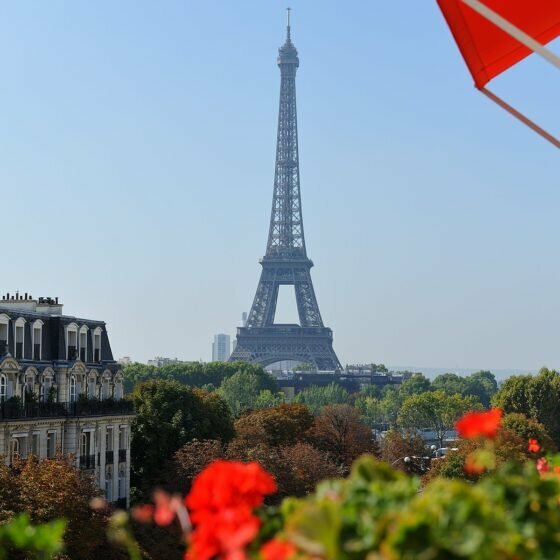 Choose to gaze out at the skyline, the Eiffel Tower, the fashionista strolling by. Or look inwards for peace, for tranquillity, for a moment of your own. Amongst the best of everything. 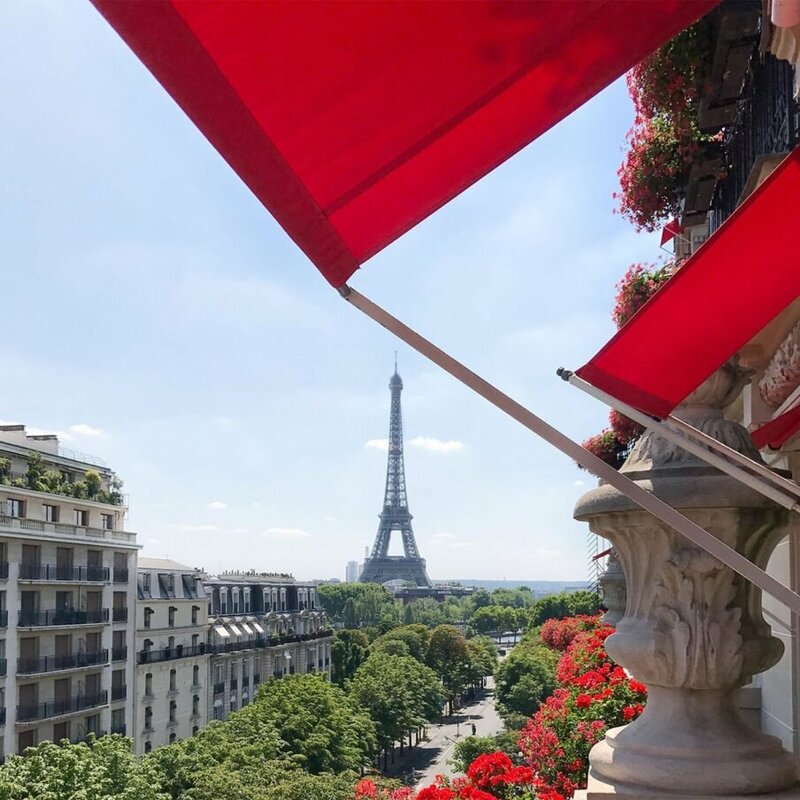 Hôtel Plaza Athénée stands proudly on the most sophisticated avenue of Haute Couture, with a view of the Eiffel Tower at one end, and the Champs-Elysées at the other. 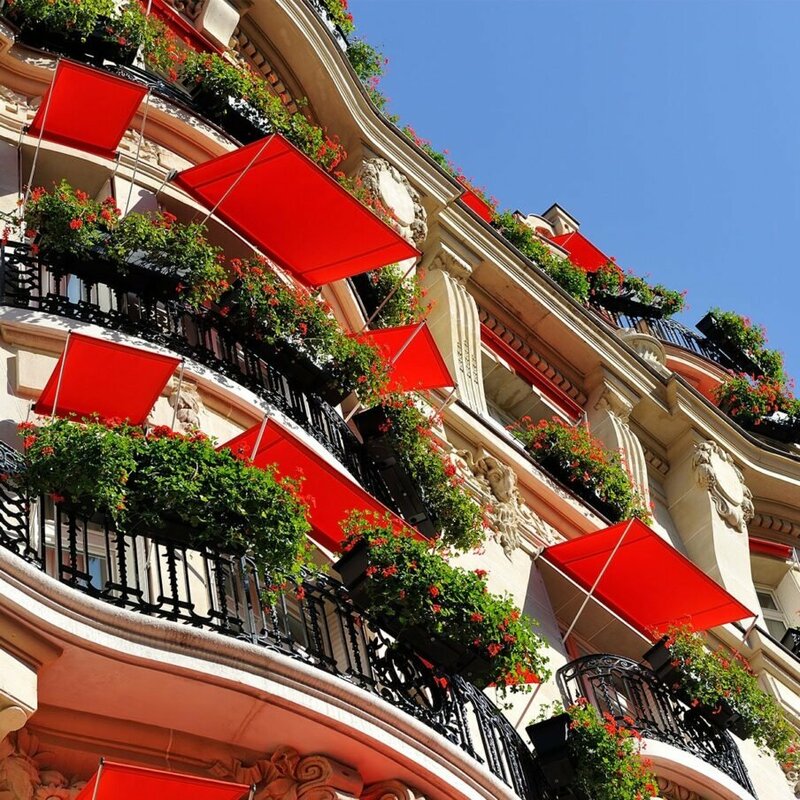 The 1,900 red geraniums adorning the hotel façade were inspired by a love story, creating a fairytale setting for romantic moments. A passionate declaration, like the hotel itself. A Haute Couture garment is made for a client, tailored specifically to their shape and posture. In this way we have created the Haute Couture hotel, just for you, just for your needs. 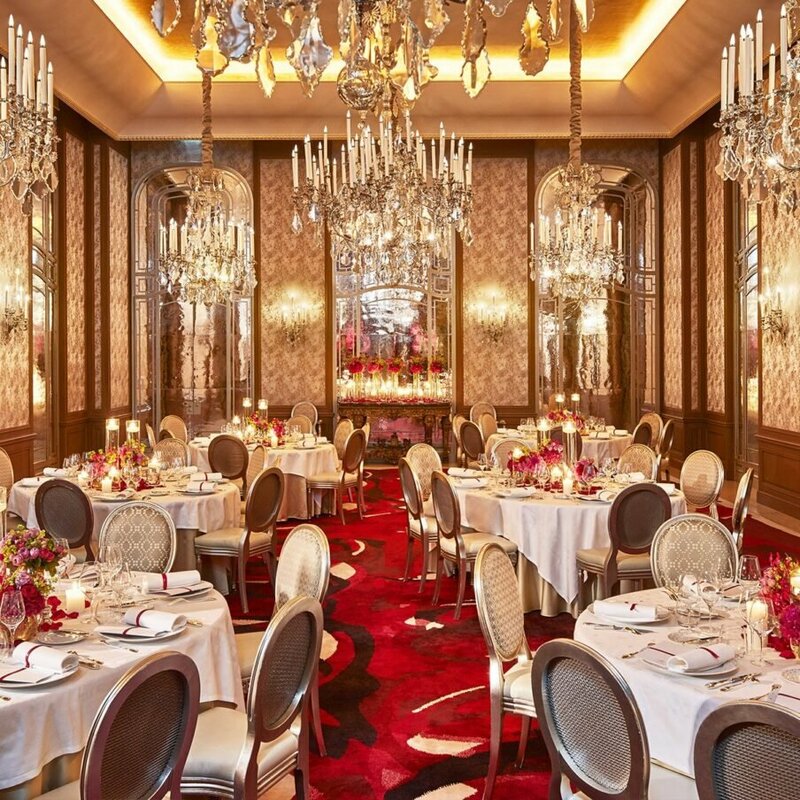 We have dared to question tradition, and won… Alain Ducasse au Plaza Athénée has been awarded three Michelin stars and named 13th best restaurant in ‘The World’s 50 Best Restaurants’, and third ex-aequo in La Liste’s ‘1000 Outstanding Restaurants’. 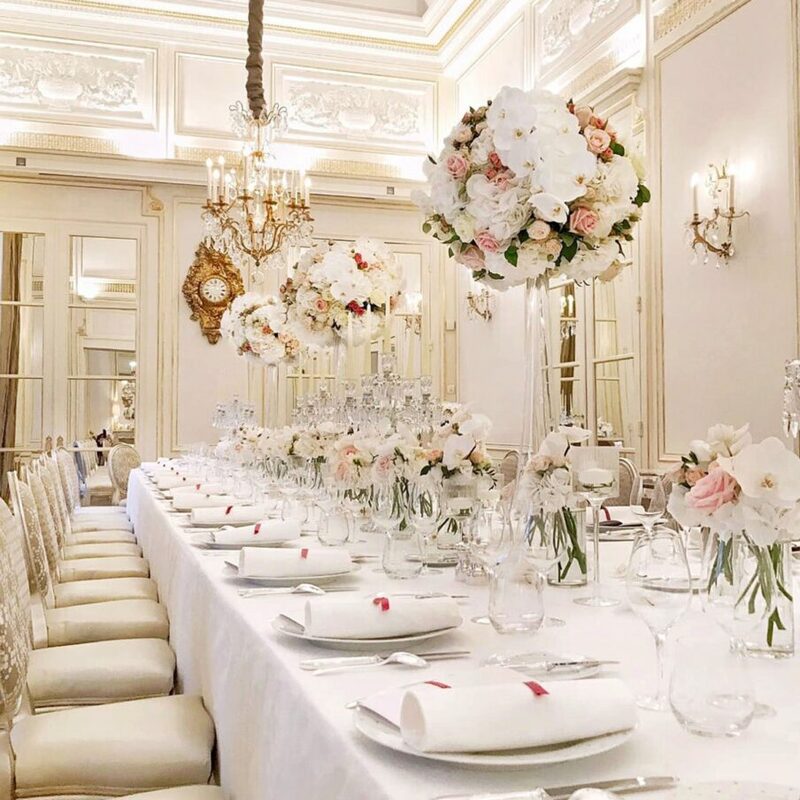 The French heart of hospitality combines with a selection of luxuriously beautiful rooms to offer you the chance to celebrate and gather in true Parisian splendour. 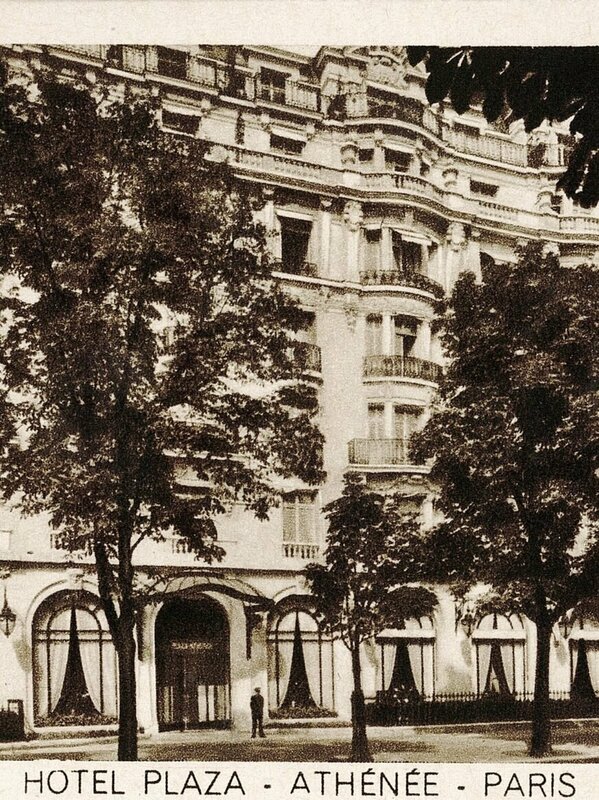 Alive with legendary love stories and a romantic soul, Hôtel Plaza Athénée is the setting for dreams to come true. No place in the world does beauty quite like Paris. And no place in Paris does beauty quite like the Dior Institut. Our guests are the heart of our hotels. Whatever you need and whenever you need it, simply ask. At Dorchester Collection we make sure your stay is as comfortable as possible. Suites and rooms have been built to be flexible so we can create the configuration that’s right for you, just contact our reservation specialists to discuss your needs.